Perfect size and shape. Fitted to rear wheel on a specialized sirrus frame. To be honest, I can't think how else I would do it without using an ugly stamped metal bracket. Solid well made and looks good too. Very solid peice of metalwork. Significantly better than cheaper AMBA product I bought originally. Maximum width front fork supported? The front forks on my trike are 36.5 wide (diameter). Will this clamp/bracket be suitable? If not, do you sell anything that would be suitable? I would be using the clamp/bracket to support an AXA HR bottle dynamo. Hi there, the maximum this would take is 20mm. For that sort of size we would recommend having something custom made. Does this bracket do much damage to the frame? I imagine that it has to be very tightly mounted to keep it and the dynamo in a fixed position, and that this might bite into the paintwork somewhat. Also, can it be used with any brand of side-runner dynamo? Thanks. Due to the nature of its design it is possible that some damage to the paint work could occur, to help prevent this you can run a lining of tape over the frame where this will clamp to. It should be compatible with any brand of side-runner dynamo. For use with Busch & Muller Dymotec 6 Sidewall Bottle Dynamo? Would I use this with a Busch & Muller Dymotec 6 Sidewall Bottle Dynamo? I presume a left sided dynamo is needed for the back. I intend to clamp onto the seat stays. This bracket is fine for use with the Busch & Muller Dymotec 6. The left/right option refer to the side of the tubing that the dynamo is fitted to, rather than the side of the bike. Will This Fit The Schmidt Rack Mount Rear Dynamo Light? Are there any other brackets which would work for attaching the Schmidt SON rear light to the seat stays? 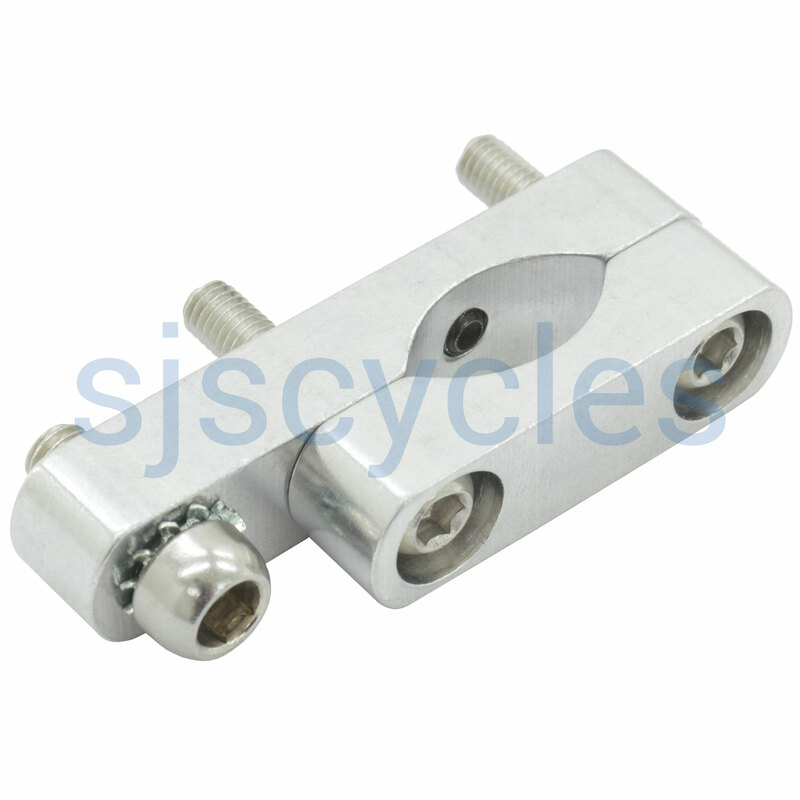 There are no set brackets for fitting the rack version of the Schmidt rear light to your chainstays, but you should be able to use this bracket along with another Busch and Muller bracket to achieve it, the other bracket is SJSC part number 1964.